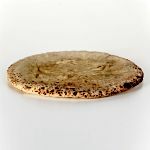 The pizza base producers are those companies that prepare products such as pizza bases for large distribution. The production bases for pizza are generally packed vacuum and then stuffed in a lot of ways to get a pizza fast. Pizza makers and pizza bases very often prepare and vacuum other products. Among these you can find bruschette, panaozzo, saltimbocca both round and elongated or ciaccine. These pizza bases producers are very comfortable, for the most you do not need to be kept in the fridge and allow in just a few minutes to prepare good pizzas at home by adding only the stuffing. Definitely not a product you will find in Italian pizzerias but it is definitely a great product to be true in your homes so you can prepare great pizzas with your favorite ingredients. Very often mistakenly attributes to this kind of products poor quality, imagining the pizza we find in the pizzerias. These products are prepared in the same way as the classic pizzas are prepared and, thanks to a precooking, they can be stored and brought back with a short cooking in the oven.